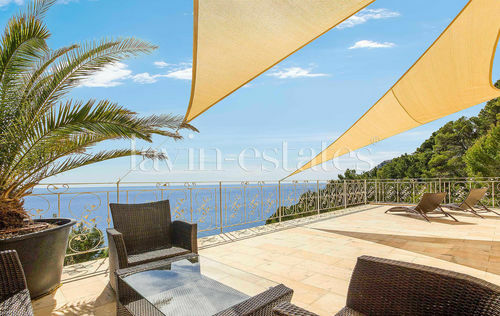 This modern east facing villa was newly built in 2011, is situated on a hill on the beautiful east coast of Majorca near Canyamel and has a fantastic panoramic sea view. 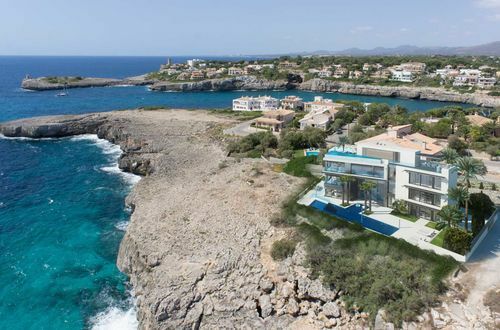 This modern east facing villa was newly built in 2011, is situated on a hill on the beautiful east coast of Majorca near Canyamel and has a fantastic panoramic sea view. The property has a plot of approx. 918m2, a constructed area of approx. 680m2, a living area of approx. 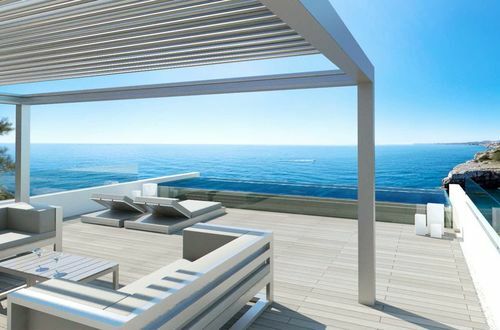 410m2, several open and covered terraces with a total area of approx. 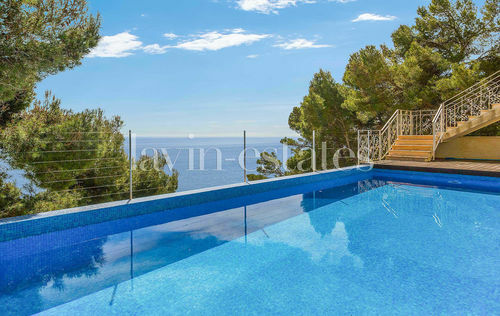 90m2 as well as a beautiful outdoor area with a Mediterranean garden and a pool. The living area is spread over several levels. 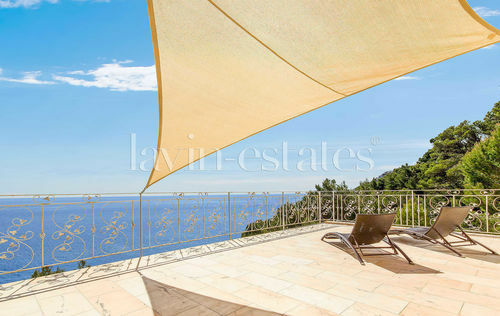 The entrance of the villa is on the rooftop terrace with breathtaking sea views. On this level there is also an open parking area for up to four cars and a storage room. One floor below, there is a living room with fireplace and terrace access, a bedroom with bathroom en suite, two further bedrooms and a spacious bathroom. 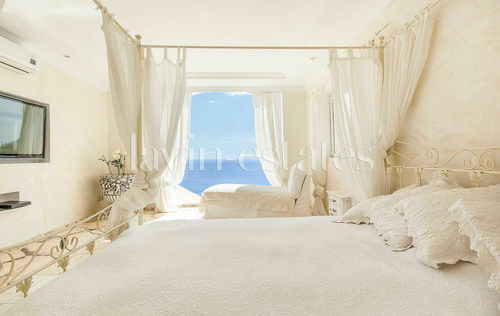 Two of these rooms also have access to an exclusive terrace. One more level down you find an extra large living room with floor to ceiling windows and an open and fully equipped kitchen with dining area. The bottom level has a bedroom, a shower and a toilet as well as a utility room and storage room. On this level you can find the pool area. 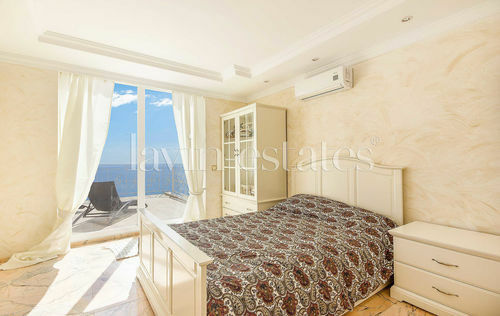 The facilities of this unique property include air condition, underfloor heating, double glazing, alarm system, automatic garden irrigation system and barbecue area. The property is close to the golf course in Canyamel and only minutes away from beautiful sandy beaches, ancient ruins and caves, various restaurants, bars and shops.